‘Tis the season for holiday parties and joyful gatherings with family, friends and co-workers. Because many of these festivities involve alcohol, it is also the season when many drunk driving accidents occur. Driving under the influence of drugs or alcohol can have severe consequences. In addition to the legal penalties for driving while impaired, a drunk driver is more likely to get into an accident that results in serious injury or death. Last year, there were 10,265 alcohol-related crashes and 359 fatalities. Another 2,880 crashes involved drug-impaired drivers, with 246 deaths. Under Michigan law, it is illegal for a driver over age 21 to have a bodily alcohol content (BAC) of .08 or higher. Michigan also has a high-BAC law with stricter penalties for anyone caught driving with a BAC of .17 or higher. However, drivers who exhibit signs of impairment while operating a motor vehicle can be arrested regardless of their BAC level. It is also illegal for drivers under 21 to transport alcohol in a vehicle unless they are accompanied by someone age 21 or older. Drivers who are found with any amount of a Schedule 1 controlled substance are subject to the same fines and penalties as drunk drivers, even if they show no signs of impairment. Schedule 1 drugs are those with a high potential for abuse, such as heroin, LSD (lysergic acid diethylamide), MDMA (ecstasy) and others. 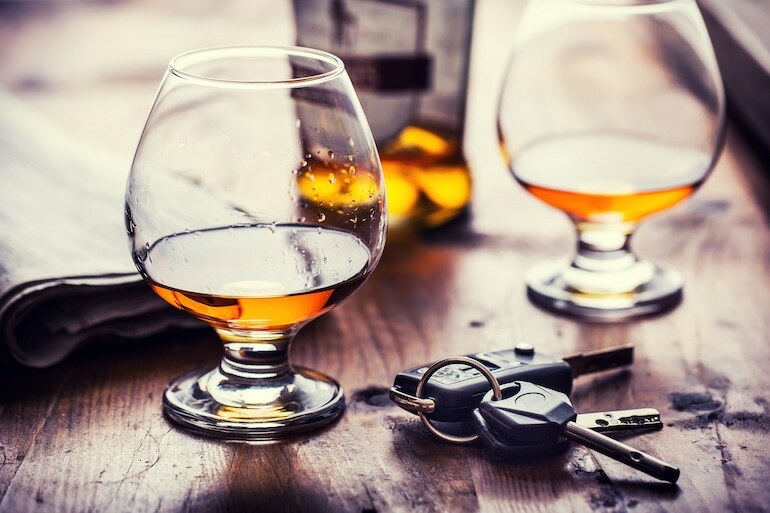 While sentencing a person convicted of drunk (or drugged) driving is up to the judge presiding over the individual case, following are some general guidelines for fines and other consequences. Consequences may also include a restricted driver’s license and the use of an ignition interlock device. Any driver who refuses to take a breathalyzer test for the first time after being stopped by police is given an automatic one-year driver’s license suspension. A driver who refuses to take a breathalyzer twice within a seven-year period will receive a two-year suspension. Convicted drunk drivers are also subject to an additional $1,000 penalty for two consecutive years under the Driver Responsibility Act, for a total of $2,000. Never get behind the wheel if you have been drinking. While you may think you are able to drive safely, drinking can impair your ability to judge your competence. When possible, choose a designated driver who will not be drinking. If you do not have a designated driver, call a friend or family member, or call a taxi or ride service such as Uber or Lyft. If a friend or family member has been drinking and intends to drive, try to dissuade them. If necessary, take their car keys. If they resist, enlist help from someone else. Auto accident law is complicated, but finding the right attorney is simple.